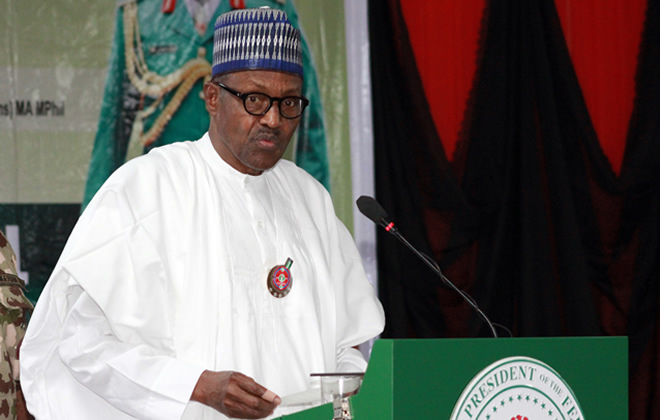 Five days to the presidential election, President Muhammadu Buhari yesterday explained why Nigerians should elect him for second term on the platform of the All Progressives Congress (APC). In his address to the nation, titled: “Corruption threatens Nigeria and its elections,” he said in the last four years, he judiciously exercised the trust vested in him to combat the problems of corruption, insecurity and an inequitable economy. The president reiterated that the base on which to secure the country, build the economy, provide decent infrastructure and educate the next generation is to fight graft. He said: “There is no doubt that this administration has changed the way we tackle corruption. The choice before voters is this: Do we continue forward on this testing path against corruption? While noting the challenges of fighting corruption, he added: “The vested interests at play can make this fight difficult. By way of their looting, the corrupt have powerful resources at their disposal. And they will use them. For when you fight corruption, you can be sure it will fight back. “It even threatens to undermine February’s poll and – by extension – our democracy. The Economic and Financial Crimes Commission (EFCC) has raised concerns over laundered money being funnelled into vote buying. This is the problem of corruption writ large. “It illustrates how it lurks in all and every crevice of public life, manipulating due process in pursuit of self-preservation and perpetuation; protecting personal political and economic interests at the expense of the common good. However, reacting, the Peoples Democratic Party (PDP) said President Buhari failed the integrity test, as such lacked moral rectitude to pontificate on corruption. A statement by its National Publicity Secretary, Kola Ologbondiyan, accused Buhari of soiling himself and his administration with corruption. The main opposition party noted: “If there is any person whose corrupt activities have become a threat to the coming elections, it is President Buhari. Apart from financing his campaign with looted funds, the President has equally surrounded himself with politicians indicted for corruption. “A clear reading of Mr. President’s statement shows that he is not yet aware that Nigerians have decoded his mastery of concealments of corruption in his Presidency and are no longer interested in his failed self-acclaimed fight against corruption. “Rather than seeking for sympathy votes, President Buhari should simply admit his failure in governance and allow Nigerians to build their future by getting our nation working again under the leadership of Atiku Abubakar. “It is unfortunate that Buhari having failed in his three plug promises of reviving the economy, fighting insurgency and fighting corruption, he has nothing more to offer this nation. That is why he is recoursing to whom God will punish and whom God will not punish. The outstanding Leadership qualities of President Mohammadu Buhari, His fearless charisma, his past records of not being a corrupt person in all the offices held as a result of his fear of GOD and His many demonstration patriotism in his dealings, all these virtues and leadership qualities made Nigerians especially the poor to keenly wanted Buhari to become democratically elected President since 2003 before their dream eventually became reality in 2015 when Buhari was declared winner however the poor Mass that ensured his victory were actually disappointed because they expected his leadership qualities which they admired to influence people in his government in together ensured good governance but very unfortunately President Buhari was surrounded by Questionable characters that turned his government to a mere dead duck moreover the failure of president Buhari leadership qualities to influence even his household confirmed the fact that a person that his leadership qualities only remained with him does not deserved second term in office. Where his President Buhari when APC national chairman said no matter how your sin be if you defected to APC it will be forgiven so could this type of government fight corruption?. It is cleared to many Nigerians that Buhari is able but not capable to proffered lasting solution to socioeconomy, political and security challenge of Nigeria.